02:00 Venkatesh Babu, Shri T.G. 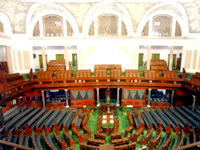 ,Dubey, Shri Nishikant ,Kataria, Shri Rattan Lal ,Mahtab, Shri Bhartruhari ,Rai, Shri Prem Das ,Rao, Shri Rayapati Sambasiva ,Roy, Prof. Saugata ,Rudy, Shri Rajiv Pratap ,Shetty, Shri Gopal Chinayya ,Dr. Kirit Somaiya,Trivedi, Shri Dinesh ,Udasi, Shri Shivkumar Chanabasappa ,Desai, Shri Anil ,Jadhav, Dr. Narendra ,Navaneethakrishnan, Shri A. ,Poddar, Shri Mahesh ,Rangarajan, Shri T.K. ,Singh, Dr. Manmohan , Oral Evidence of the representatives of Securities and Exchange Board of India on The Banning of Unregulated Deposit Schemes Bill,2018' and issues related thereto. 02:00 Venkatesh Babu, Shri T.G. ,Dubey, Shri Nishikant ,Kataria, Shri Rattan Lal ,Khaire, Shri Chandrakant Bhaurao ,Mahtab, Shri Bhartruhari ,Rao, Shri Rayapati Sambasiva ,Roy, Prof. Saugata ,Rudy, Shri Rajiv Pratap ,Shetty, Shri Gopal Chinayya ,Dr. Kirit Somaiya, ,Trivedi, Shri Dinesh ,Udasi, Shri Shivkumar Chanabasappa ,Desai, Shri Anil ,Jadhav, Dr. Narendra ,Navaneethakrishnan, Shri A. ,Mahendra Prasad, Dr. ,Ramesh, Shri C.M. ,Singh, Dr. Manmohan , Briefing by the representatives of Ministry of Micro, Small & Medium Enterprise, Ministry of Labour & Employment and Ministry of Agriculture & Farmers Welfare (Department of Agriculture Cooperative & Farmers Welfare) on the subject' Demonetisation of Indian Currency notes of Rs 500 and Rs 1000 and ramifications thereof'. 02:00 Venkatesh Babu, Shri T.G. ,Dubey, Shri Nishikant ,Kataria, Shri Rattan Lal , Mahtab, Shri Bhartruhari ,Rao, Shri Rayapati Sambasiva ,Roy, Prof. Saugata ,Rudy, Shri Rajiv Pratap ,Shetty, Shri Gopal Chinayya ,Dr. Kirit Somaiya, ,Trivedi, Shri Dinesh ,Udasi, Shri Shivkumar Chanabasappa ,Desai, Shri Anil ,Jadhav, Dr. Narendra ,Navaneethakrishnan, Shri A. ,Mahendra Prasad, Dr. ,Singh, Dr. Manmohan ,Singh, Shri Digvijaya ,Poddar, Shri Mahesh ,Solanki, Dr. (Prof) Kirit Premjibhai ,Rai, Shri Prem Das ,Chinnaraj, Shri Gopalakrishnan , Briefing by the representatives of Reserve Bank of India on the subjects (i) Impending Reforms relating to Reserve Bank of India (RBI) and Resolution of Non-Performing Assets / Stressed Assets in Banks / Financial Institutions including critical appraisal of implementation of Insolvency and Bankruptcy Code (ii) Demonetisation of Indian currency notes of Rs. 500 and Rs. 1000 and ramifications thereof and (iii) State of Indian Economy : Pitfalls and Challenges.Briefing by the representatives of Ministry of Agriculture & Farmers Welfare (Department of Agriculture Cooperative & Farmers Welfare) on the subject Demonetisation of Indian Currency notes of Rs 500 and Rs 1000 and ramifications thereof. 00:30 Venkatesh Babu, Shri T.G. ,Dattatreya, Shri Bandaru ,Dubey, Shri Nishikant ,Dwivedi, Shri Harish ,Kataria, Shri Rattan Lal ,Shetty, Shri Gopal Chinayya ,Solanki, Dr. (Prof) Kirit Premjibhai ,Dr. Kirit Somaiya, ,Trivedi, Shri Dinesh ,Udasi, Shri Shivkumar Chanabasappa ,Chandrasekhar, Shri Rajeev ,Desai, Shri Anil ,Navaneethakrishnan, Shri A. ,Poddar, Shri Mahesh ,Ramesh, Shri C.M. ,Singh, Shri Digvijaya ,Singh, Dr. Manmohan , Briefing by the representatives of the Ministry of Finance (Department of Expenditure, Department of Financial Services), Ministry of Home Affairs, National Disaster Management Authority (NDMA), Indian Meteorological Department (IMD), Geological Survey of India (GSI), Agriculture Insurance Company of India Ltd., Central Water Commission (CWC), The Oriental Insurance Company Ltd. and New India Assurance Company Ltd. on the subject' 'Central assistance for Disaster Management and Relief' with particular reference to recent floods / cyclone in Kerala, Karnataka, Tamil Nadu and Andhra Pradesh. 02:00 Dubey, Shri Nishikant ,Kataria, Shri Rattan Lal ,Mahtab, Shri Bhartruhari ,Shetty, Shri Gopal Chinayya ,Solanki, Dr. (Prof) Kirit Premjibhai ,Dr. Kirit Somaiya, ,Trivedi, Shri Dinesh ,Udasi, Shri Shivkumar Chanabasappa ,Desai, Shri Anil ,Jadhav, Dr. Narendra ,Poddar, Shri Mahesh ,Ramesh, Shri C.M. , Briefing by the representatives of the representatives of government of Andhra Pradesh on the subject' 'Central assistance for Disaster Management and Relief' with particular reference to recent floods / cyclone in Kerala, Karnataka, Tamil Nadu and Andhra Pradesh. 03:10 Dubey, Shri Nishikant ,Kataria, Shri Rattan Lal ,Mahtab, Shri Bhartruhari ,Roy, Prof. Saugata ,Shetty, Shri Gopal Chinayya ,Trivedi, Shri Dinesh ,Udasi, Shri Shivkumar Chanabasappa ,Chandrasekhar, Shri Rajeev ,Navaneethakrishnan, Shri A. ,Poddar, Shri Mahesh ,Mahendra Prasad, Dr. ,Rangarajan, Shri T.K. ,Singh, Dr. Manmohan , Briefing by the representatives of government of Odisha, Ministry on Finance, MHA, ISRO, IMD on the subject' 'Central assistance for Disaster Management and Relief' with particular reference to recent floods / cyclone in Kerala, Karnataka, Tamil Nadu and Andhra Pradesh. 01:00 Dubey, Shri Nishikant ,Kataria, Shri Rattan Lal ,Khaire, Shri Chandrakant Bhaurao ,Mahtab, Shri Bhartruhari ,Roy, Prof. Saugata ,Shetty, Shri Gopal Chinayya ,Dr. Kirit Somaiya, ,Trivedi, Shri Dinesh ,Udasi, Shri Shivkumar Chanabasappa ,Jadhav, Dr. Narendra ,Navaneethakrishnan, Shri A. ,Poddar, Shri Mahesh ,Mahendra Prasad, Dr. ,Ramesh, Shri C.M. 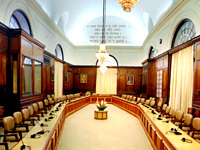 ,Singh, Shri Digvijaya ,Singh, Dr. Manmohan , Consideration and adoption of draft Reports. 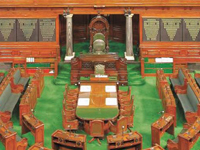 02:30 Dubey, Shri Nishikant ,Mahtab, Shri Bhartruhari ,Roy, Prof. Saugata ,Shetty, Shri Gopal Chinayya ,Dr. Kirit Somaiya, ,Trivedi, Shri Dinesh ,Desai, Shri Anil ,Jadhav, Dr. Narendra ,Singh, Dr. Manmohan , Oral evidence of the representatives of Ministry of Finance (Department of Revenue) on the subject 'Status of unaccounted income / wealth both inside and outside the country - A critical analysis'. 4 15 to 19 January, 2018 Dr. M. Veerappa Moily, Chairperson Shri Venkatesh Babu T.G Shri P.C. 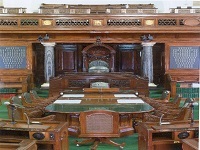 Gaddigoudar Shri Chandrakant Khaire Shri Bhartruhari Mahtab Shri Rattan Lal Kataria Shri Gopal Shetty Dr. Kirit Somaiya Shri Shivkumar Udasi Shri Dinesh Trivedi Shri Nishikant Dubey Shri Bandaru Dattatreya Kunwar Punshpendra Singh Chandel Shri Prem Das Rai Shri Rajiv Pratap Rudy Dr. Mahendra Prasad Shri Naresh Agarwal Shri Ajay Sancheti National Academy of Direct Taxes (NADT) NABARD Agriculture Insurance Company of India Ltd. Bank of India Bank of Maharashtra Ministry of Agriculture, Farmers Welfare and Cooperation and Ministry of Finance (Department of Financial Services) SEBI LIC Central Excise, GST and Customs, Pune Zone Ministry of Finance (Department of Revenue) Exim Bank Union Bank of India "Role of Banks, Cooperatives and NABARD in addressing issues concerning "Corporate governance in India and issues related thereto". "Insurance Sector in India - A review". "Banking Sector in India - Issues, Challenges and the Way Forward including NPAs/Stressed assets in Banks/Financial Institutions". 5 17 to 21 August 2017 Moily, Dr. M. Veerappa ,Venkatesh Babu, Shri T.G. 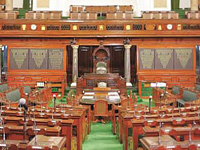 ,Gupta, Shri Shyama Charan ,Khaire, Shri Chandrakant Bhaurao ,Mahtab, Shri Bhartruhari ,Kataria, Shri Rattan Lal ,Rao, Shri Rayapati Sambasiva ,Shetty, Shri Gopal Chinayya ,Shekhawat, Shri Gajendra Singh ,Solanki, Dr. (Prof) Kirit Premjibhai ,Dr. Kirit Somaiya, ,Udasi, Shri Shivkumar Chanabasappa ,Trivedi, Shri Dinesh ,Dubey, Shri Nishikant ,Mahendra Prasad, Dr. ,Rangarajan, Shri T.K. ,Sancheti, Shri Ajay ,Ramesh, Shri C.M. ,Agrawal, Shri Naresh , Oriental Insurance Company,SIDBI & MUDRA bank, Bombay Chamber of Commerce, Centre for Monitoring Indian Economy(CMIE), Credit Rating Information Services of India Limited (CRISIL),Axis Bank,Yes Bank, Income Tax in charge of Mumbai zone and State Bank of India Insurance Sector in India - A Review and issues related thereto,Growth and Regulation of Micro Finance Sector in India and role of SIDBI & MUDRA thereof, Banking Sector in India - Challenges and Way Forward, Financial Inclusion - Schemes, targets and achievements and Transformation towards a digital economy, Issues relating to the economy, particularly declining private investment and bank credit to industry/MSMEs, stressed assets with the banking system, changing credit profile of banks and other financial institutions, bottlenecks hampering growth, weakening social infrastructure, rising unemployment etc, Overall performance with particular reference to revenue collection, adjudication, appeals, evasion, recovery, arrears, grievances redressal etc. and Road map of Tax Reforms in India including Tax-GDP ratio - with particular reference to Direct Taxes. 7 12 to 15 July 2016 Moily, Dr. M. Veerappa ,Venkatesh Babu, Shri T.G. ,Gaddigoudar, Shri Parvatagouda Chandanagouda ,Gupta, Shri Shyama Charan ,Khaire, Shri Chandrakant Bhaurao ,Mahtab, Shri Bhartruhari ,Kataria, Shri Rattan Lal ,Rai, Shri Prem Das ,Rao, Shri Rayapati Sambasiva ,Roy, Prof. Saugata ,Anil (alias Padmakar) Gulabrao, Shirole, Shri ,Solanki, Dr. (Prof) Kirit Premjibhai ,Dr. Kirit Somaiya, ,Udasi, Shri Shivkumar Chanabasappa ,Shetty, Shri Gopal Chinayya ,Dubey, Shri Nishikant ,Mahendra Prasad, Dr. ,Rangarajan, Shri T.K. ,Ramesh, Shri C.M. , MUMBAI AND BENGALURU Bombay Chambers of Commerce, Indian Merchants Chamber, Investors Grievances Forum,The Chamber of Tax Consultants,Securities and Exchange Board of India (SEBI),National Association of Software and Services Companies (NASSCOM),Central Excise, Customs and Service Tax, Karnataka/Bengaluru zone,Central Bank of India,Punjab National Bank, Union Bank of India,Dena Bank,Canara Bank, Syndicate Bank, Vijaya Bank and Corporation Bank Companies (Amendment) Bill, 2016 and issues related thereto, Financial inclusion in Banking services, targets and achievements; Priority sector lending including Rural / Agricultural Credit; NPAs; Capital Adequacy etc.Overall performance with particular reference to revenue collection, revenue potential, evasion, recovery, arrears etc. 8 02 November to 05 November, 2015 Moily, Dr. M. Veerappa ,Venkatesh Babu, Shri T.G. ,Gaddigoudar, Shri Parvatagouda Chandanagouda ,Gupta, Shri Shyama Charan ,Khaire, Shri Chandrakant Bhaurao ,Mahtab, Shri Bhartruhari ,Rai, Shri Prem Das ,Rao, Shri Rayapati Sambasiva ,Roy, Prof. Saugata ,Shirole, Shri Anil ,Solanki, Dr. Kirit Premjibhai ,Somaiya, Dr. Kirit ,Udasi, Shri Shivkumar Chanabasappa ,Shetty, Shri Gopal Chinayya ,Dubey, Shri Nishikant ,Mahendra Prasad, Dr. ,Singh, Shri Digvijaya ,Gujral, Shri Naresh ,Sancheti, Shri Ajay ,Ramesh, Shri C.M. ,Balagopal, Shri K.N. 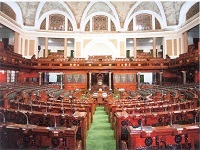 , Bank of Maharashtra, Reserve Bank of India, State Bank of India, Government of Maharashtra, NABARD, Agriculture Insurance Company of India, Regional Rural Banks, Life Insurance Corporation of India Securities and Exchange Board of India (SEBI), National Stock Exchange (NSE), Income Tax Department , Government of Maharashtra, The New India Assurance Company Limited, AXIS BANK, Bank of Baroda, Bank of India, IDBI Bank, Reserve Bank of India State of Rural / Agricultural Banking including Crop Insurance with particular reference to Maharashtra, Review of performance of LIC of India, functioning of the Stock Exchange, important issues relating to the capital market, The Benami Transactions (Prohibition) Amendment Bill, 2015” and issues related thereto, Insurance Sector in India - A Review, Banking Sector in India - and the Challenges and the Way Forward, Financial Inclusion - Schemes and Achievements, State of Rural / Agricultural Banking including Crop Insurance, Banking sector in India - and the Challenges and the Way Forward, Financial Inclusion - Schemes and Achievements, State of Rural / Agricultural Banking including Crop Insurance. 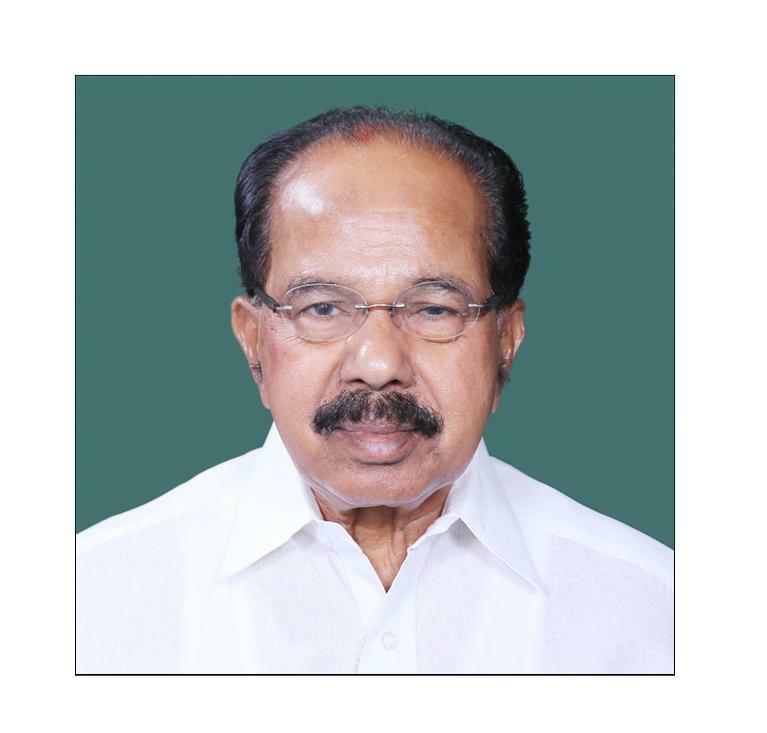 9 07 to 09 JULY, 2015 Moily, Dr. M. Veerappa ,Ahluwalia, Shri S.S. ,Gaddigoudar, Shri Parvatagouda Chandanagouda ,Gupta, Shri Shyama Charan ,Jadhav, Shri Prataprao Ganpatrao ,Kataria, Shri Rattan Lal ,Mahtab, Shri Bhartruhari ,Rai, Shri Prem Das ,Rao, Shri Rayapati Sambasiva ,Roy, Prof. Saugata ,Solanki, Dr. Kirit Premjibhai ,Somaiya, Dr. Kirit ,Udasi, Shri Shivkumar Chanabasappa ,Bandyopadhyay, Shri Sudip ,Dubey, Shri Nishikant ,Shekhawat, Shri Gajendra Singh ,Mahendra Prasad, Dr. , KOLKATA Financial inclusion in banking services, targets and achievements. Debt Recovery and NPAs. Overall performance with particular reference to mediclaims and social insurance. Overall performance with particular reference to revenue collection, adjudication, appeals, evasion, recovery, arrears, grievances redressal etc. Financial inclusion, targets and achievements and Credit Flow to Agriculture. 10 16 TO 21 JANUARY, 2015 Moily, Dr. M. Veerappa ,Venkatesh Babu, Shri T.G. 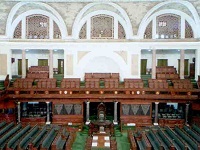 ,Gaddigoudar, Shri Parvatagouda Chandanagouda ,Jadhav, Shri Prataprao Ganpatrao ,Kataria, Shri Rattan Lal ,Mahtab, Shri Bhartruhari ,Rai, Shri Prem Das ,Rao, Shri Rayapati Sambasiva ,Shekhawat, Shri Gajendra Singh ,Shetty, Shri Gopal Chinayya ,Shirole, Shri Anil ,Solanki, Dr. Kirit Premjibhai ,Somaiya, Dr. Kirit ,Gujral, Shri Naresh ,Mahendra Prasad, Dr. ,Rajeeve, Shri P. ,Ramesh, Shri C.M. ,Sancheti, Shri Ajay ,Singh, Shri Digvijaya , MUMBAI, BENGALURU AND HYDERABAD ‘Role of Reserve Bank of India – Emerging Challenges’ and ‘Banking Sector in India – Challenges and the Way Forward’. ‘Efficacy of Regulation of Collective Investment Schemes (CIS), Chit Funds etc.’. on ‘Financial Inclusion – Schemes and Achievements’. ‘Efficacy of Regulation of Collective Investment Schemes (CIS), Chit Funds etc.’ and ‘Review of Select Regulatory Bodies’ ‘Framework for Regulation of NBFCs’ ‘Tax Reforms including simplification, rationalization, widening of tax base, augmenting of tax-GDP ratio, prevention of tax evasion etc.’.